I'm not really more than holes tied to more holes; I'm strong as good steel, though not as stiff as a pole. What am I? 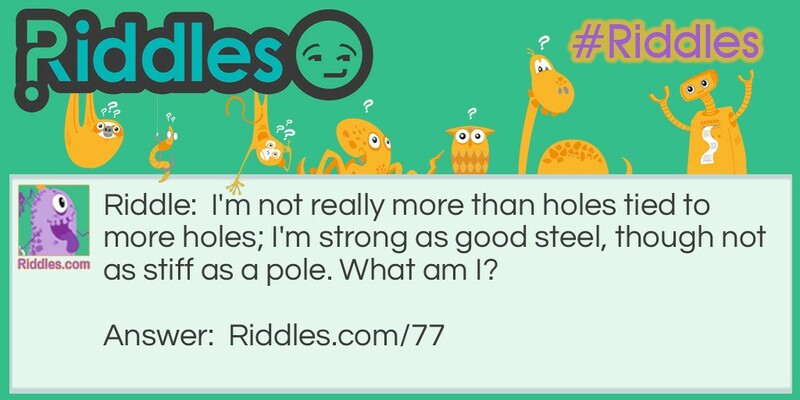 How so strong Riddle Riddle Meme with riddle and answer page link.